Le Pratola Luxury Villa in Chianti with Heated Pool, top rated reviews. Need more information about booking Property 3581310 ? Forbes Magazine voted Gaiole in Chianti Number 1 in its list of Europe's Most Idyllic Places to Live. Le Pratola is situated in the heart of Gaiole & has breathtaking 360 degree views. Watch our new video (shown after photos). With a heated pool and at 6458 sq ft Le Pratola has 5 air conditioned bedroom suites, 2 sitting rooms, dining room, kitchen, gym, games room and stunning galleried hallway, Le Pratola sleeps 10 people (plus 3 infants). The infinity edged swimming pool is heated and has a remote controlled safety cover and the villa is well equipped with children's toys and equipment so it is a great destination for families. Also on hand is a dedicated concierge service to organise additional services such as an in-house cook, drivers, tour guide, spa treatments and much more. Fusing together the best Italian style and craftsmanship, Le Pratola is open plan with the exposed stone, wooden beams and original features complemented with contemporary furniture and modern art. A car is essential. We can also arrange a transfer service, hire cars or pre-book taxis. Travelling to Florence is convenient by train- take train from Montevarchi to Florence. If you wish to connect to other Italian cities, Florence is on fast train line connection to Rome and Milan amongst other cities. Guests will be met by our house manager. Each day they will be cared for by our housekeepers. In addition the owner is on hand by text, email & phone throughout their stay to clarify any questions, book any services and address any issues. My family and I spent one week in this fabulous villa. The villa and the surrounding property are magnificent. Margherita made every effort to maintain communication throughout our stay to make sure we were enjoying ourselves and had everything we needed. She helped arrange so much for us ... transportation for sightseeing, reservations at restaurants, babysitter, car rental, and recommendations of things to do. One of the very biggest highlights of our stay was having this fabulous, adorable little Italian woman come in to cook meals for us. We loved everything that she made and would have loved to have her there every night. Her cooking was a real treat enjoyed outdoors with the vineyard as our background. I very much liked that we had another lovely caring Italian lady that came in every day to clean the downstairs of the villa ( we added that she also do the upstair bedrooms and baths as an extra charge ). It represented to me that Margherita took prided in her villa and making sure her guests were cared for and comfortable. I think it is very important to know, however, that the location is somewhat isolated and that you do need a car to get around. I had no idea where I was and it took a bit to figure that out and feel comfortable. I probably should have done my homework before arriving but it all worked out. Thanks for a lovely holiday Margherita!!! My family and I (six of us) stayed at Le Pratola for a week in June. We had such a great time. 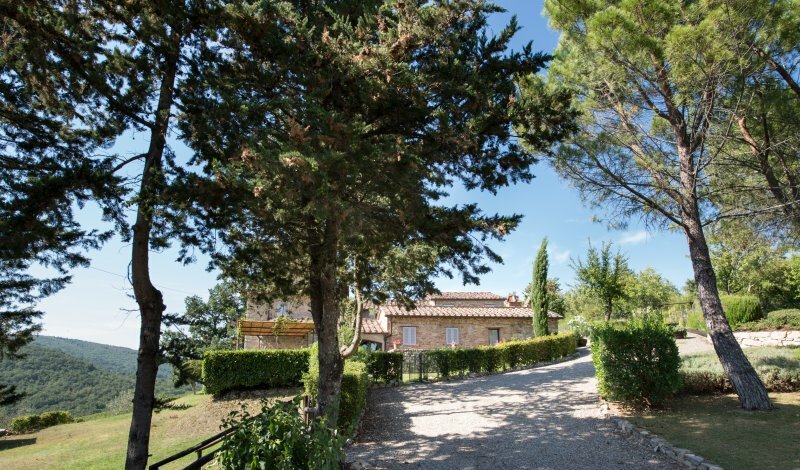 The villa is beautiful and comfortable, and the views of the Tuscan hills are stunning. The team at Le Pratola is amazing. Laura, the cleaning lady, is a doll. The cooking class with Barbara is so much fun! Elena and Monica's (the personal chefs) meals are delicious. The villa is beautifully decorated and so comfortable. We all had the best vacation! We will definitely recommend the villa to family and friends. It was the best trip we've ever been on! We would like to thank the team at Le Pratola for making our vacation to Tuscany so special. We are back home in Canada and just wanted to tell you how much we enjoyed our stay at Le Pratola. The villa was beautiful and the views breathtaking. We enjoyed a few glasses of wine by the pool and many delicious dinners al fresco. Laura's housekeeping skills were excellent and Elena's dinners were absolutely delicious. Elena was a true joy. We will miss her. We also had a lot of fun with Barbara and Brian during the cooking class. And last but not least we enjoyed the tours with alessandra and Michele who were both charming and informative. Thanks for all your help in organizing this true Tuscan experience for us. Idyllic is a much over-used word, but in the case of Le Pratola it is absolutely appropriate. The setting of the villa is as near to perfect as any place I have ever stayed. If you have a picture in your head of the stereotypical Tuscan location than Le Pratola probably ticks all of those boxes. Hilltop location? Tick. 360' panoramic views? Yep. Wonderfully set between ancient olive groves, and fragrant vineyards? You bet. Peaceful, and private yet only 10 minutes drive from town? It has that too. In fact it has everything. And you can take it in from the edge of the wonderful relaxing infinity pool, and pool area. We stayed at Le Pratola in July 2012, as a mixed group with teenage children. The villa provided more than enough accommodation for all of us to enjoy our holidays without being on top of one another. One of the best things about Le Pratola is the varied accommodation that it offers. The fact that it is immaculately presented, wonderfully designed, with stunning furniture and art is almost secondary. If there is a fault - and this is really trying - it is that the photos do not capture the scale of the villa. 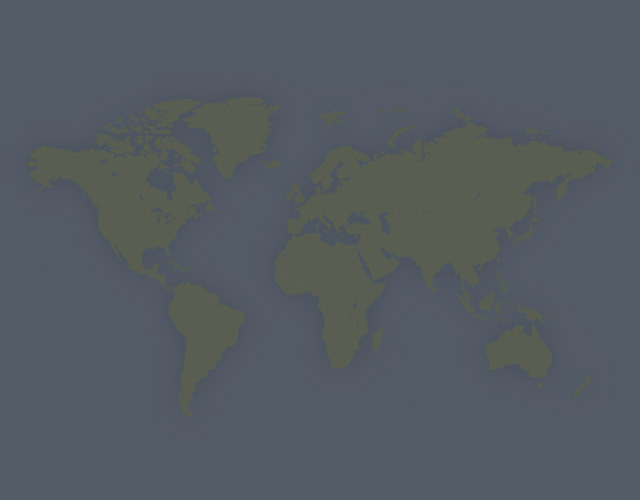 It really is a big place. Predominantly this was a cycling holiday, and the reputation of Tuscany as the home of choice for the professional peloton is easy to understand after a holiday in Le Pratola. The roads around the villa are quiet, well surfaced, and able to provide cycling to suit all abilities. We found climbs of varying severity up to 8km long within an hour or so ride of "home". Motorists are courteous, and even the heat was not overly suppressive, as many of the rides have shelter in the trees. As a cycling destination, Tuscany really is God's own country. Le Pratola really is one of the nicest places I have ever stayed. The style, size, location, quality, service, and vista are all beautifully thought out and resolved. Dare I say, if you are looking for the perfect idyllic holiday location then Le Pratola is it. Driving up to La Pratola you get a great view of the house as you climb the hill to it, but nothing could have prepared us for the amazing view back down the hill and across the valley from the infinity pool. Breathtaking. We were supplied with amazing food and service by a really sweet lady who looked after us well, whilst also discretely blending in, never making us feel self-conscious, and the maid service was excellent. Nearby Gaiole has all you could need, and is pretty, but Florence and Siena are wonderfully close by for a day trip. There are good walks and bike rides ( or runs) straight out from the house, but we just wanted to chill out by the pool or in the lovely courtyard most of the time. The Interior is very comfortably furnished to a high standard, with plenty of places for people to relax, so if you are in a big group it works well to go off and do you own thing for a while - the upstairs living room is great- huge squishy leather sofas and a big screen TV. We particularly enjoyed the pool table too. We weren't disappointed by La Pratola and would happily go back there again. We spent two weeks at Le Pratola in august 2011. It was a big family holiday with our two young children (aged 2 and 4 years), my husbands parents from India and family and friends. It was more than just a holiday, it was an experience: beautiful house, stunning landscape and delicious food. The house has been beautifully restored and maintains it's original features together with a contempory feel. The house is well placed,the local town (Gaiole) is just a 10 mins drive away (has a good supermarket) and there are lots of lovely little towns within 30 mins drive that are worth a visit:Castellina,Radda. Sienna is also only 30 mins away and is great for shopping. The house has all you need for young children (cots, high chairs, pushchairs, toys etc) so you can travel relatively light! We also used the babysitter recommended by the owner and she was very good. Highlights of the holiday; relaxing by the pool, having dinner cooked by the amazing cook "Elena" (food was delicious and made from local produce)and a trip to the vineyard "Casanova". Whilst there are vineyards closer, it is well worth driving 45 mins to Casanova as it was brilliant. We booked a tour of the vineyard (they make not just wine but balsamic vinegar, honey and lots more!) The lunch was amazing and the owner Silvano was so interesting that you come away inspired! We visited Le Pratola as a family of 8 for our parents 40th wedding anniversary and the trip was truely memorable for all of us. The property is beautiful inside and out. It has everything you need for adults and children. It is set in olive groves and vineyards. The views of the surrounding countryside are stunning with amazing sunsets over the infinity pool and the atmospheric morning mist in the valley below. The villa is in an ideal location to visit nearby attractions such as Castello di Meleto and Castello di Brolio. Siena, San Gimignano and Florence are also within easy reach. Gaiole in Chianti is just a few minutes drive away and has all the amenities you need i.e. pharmacy, supermarket, restaurant, bank etc. Radda and Castellina in Chianti are only 20-30mins drive away and have a good choice of shops and restaurants. The choice of services at the villa are excellent too, we made use of Elena as our cook and she prepared some fabulous meals. We couldn't have asked for a better way to celebrate a family event and what made is easier was having Margherita's help with local knowledge and making it a seamless holiday. We would definitely return! You can get in touch with Margherita (the owner) through the contact form on this page. Send Margherita (the owner) an email through the contact form on this page. Alternatively, if there’s a phone number on this page, you can call them. How do I contact Margherita (the owner)? If you’ve already booked, go to Manage your booking to view Margherita the owner's contact details or send them a message. Or send Margherita (the owner) an inquiry through the Contact the owner/manager form if you’d like a quote or more info first. When you pay online through the Ready to book? form, a booking request is sent to Margherita (the owner). You’ll find out within 24 hours whether they’ve accepted - no money will leave your account before then. You can also request a quote from Margherita (the owner) through the contact form. The owner will email you the total cost for your dates and a link to book and pay online. Use the Ready to book? form to pay provisionally online. You can pay by credit/debit card or PayPal. Margherita (the owner) will have 24 hours to accept the booking and no money will leave your account before then. Why can't I call Margherita (the owner) before booking? You’ll need to contact Margherita (the owner) to do this. Send them a message in Manage your booking or through the contact form on this page. You can request to change the dates or number of people on your booking via the Manage your booking page. To change your dates use the Edit booking button. If you need to change the number of guests staying then send Margherita (the owner) a message. If Margherita (the owner) agrees, they’ll send you a revised quote outlining the changes. You can review and accept/decline this from the Manage your booking page. You’ll have 48 hours to take action before the revised quote expires.